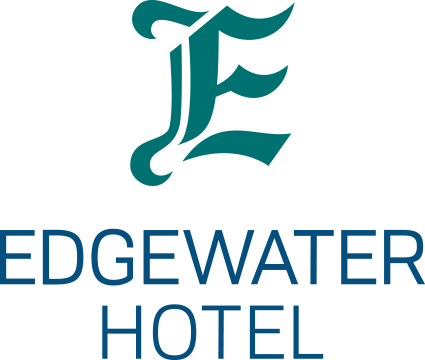 Welcome to the Edgewater Hotel and the historic corner of Front and Main Street. This site has welcomed the territory’s most distinguished founders and notorious bounders for over 100 years. The Edgewater got its start during the Great Klondike Gold Rush in the late 1890’s as the Windsor Hotel, servicing the stampeders heading down the Yukon River to the gold fields of the Klondike in Dawson City. Located across from both the paddle wheeler docks on the Yukon River and the White Pass and Yukon Route Train Station, the Windsor Hotel enjoyed a bustling business in the heart of the transportation district. In 1905, a devastating fire leveled much of the Downtown core, including the Windsor Hotel and White Pass Depot. Famed poet and Bard of the Yukon, Robert Service, helped in the firefighting efforts, managing to save the CIBC Bank building where he worked. After a spirited community rebuilding effort, the Windsor was reborn as the White Pass Hotel and served Whitehorse throughout the war years, the building of the Alaska Highway in 1942 and the end of the steamboat era in the mid-fifties. After another fire on Christmas Day 1961, the White Pass became the Edgewater Hotel, which it has remained until this day. From gold seekers, train passengers and river boat captains to miners, mushers and Mounties, the Edgewater Hotel continues to welcome guests to the same historic location, specializing in warm Yukon hospitality and colorful stories. Today, the Edgewater Hotel is proudly owned and operated by Northern Vision Development LP, combining the legacy of the past with modern comfort and superior service. We thank you for staying with us and being part of our history!